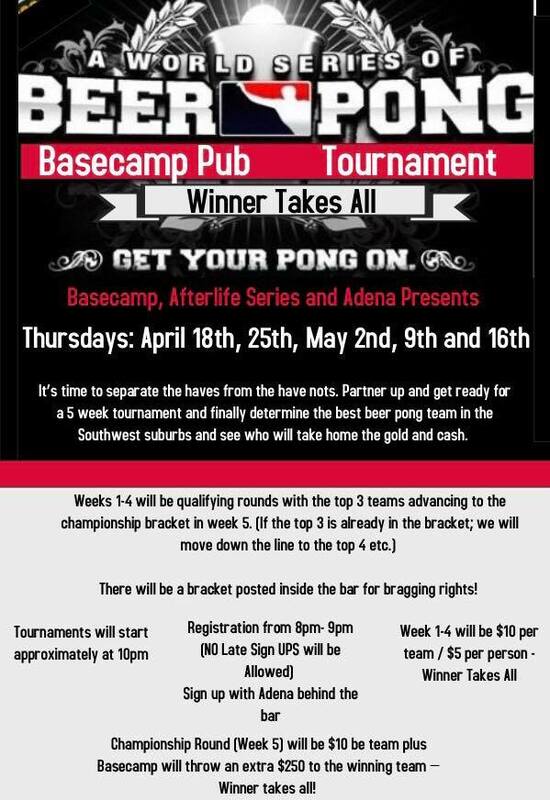 Basecamp, Afterlife Series and Adena Presents The World Series of Beer Pong ! What makes a champion? Skill, composure, attitude, and a full Beer always helps. It’s time to separate the haves from the have nots. Partner up and get ready for a 5 week tournament and finally determine the best beer pong team in the Southwest suburbs and see who will take home the gold and cash. There will be a bracket posted inside the bar for bragging rights! All games will be single elimination so bring your A game. House rules apply and make sure you understand them prior to competition. 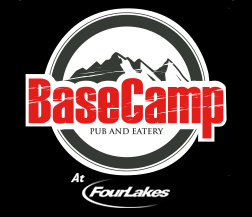 Championship Round (Week 5) will be $10 per team plus Basecamp will throw an extra $250 to the winning team — Winner takes all! Games will start at Approximately 10pm.